In 1963 Stanislaw Ulam noticed that if you draw a square, label the center square "one" and number a spiral of squares around the initial one each with an increasing digit and then color the prime numbers you will get a unique pattern. This pattern consists of many sections of diagonal lines of numbers that are prime numbers. Below the prime numbers are circled. 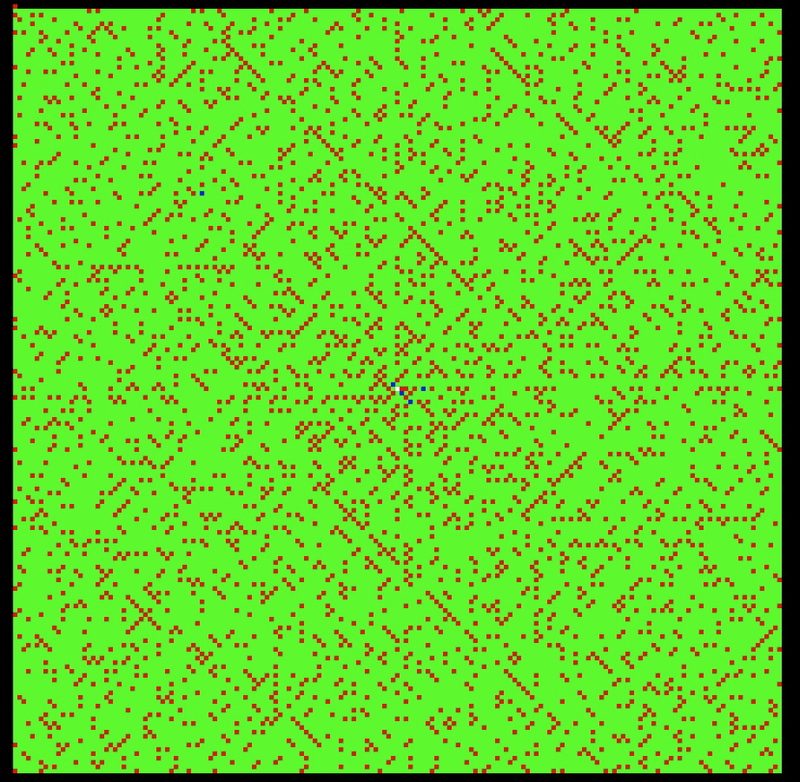 In the below picture we plot the first 31000 numbers or so on a square of 178 by 178 numbers. It contains 3432 prime numbers. Number one the center square is colored white. The prime numbers are red with the Mersenne prime numbers colored blue. An interesting factor is the 45 degrees line indicated on the top of the picture. The equation for the numbers on this line is 4X^2 + 2X + 41. About 75% of the numbers on this diagonal are prime but X must be larger than 21. Below 21 the line turns and heads to the origin with few if any numbers being prime. Note the 45 degree line ending here. Now for the last picture. It turns out that many quadratic equations with a perfect square before the x squared term will plot as a straight line. 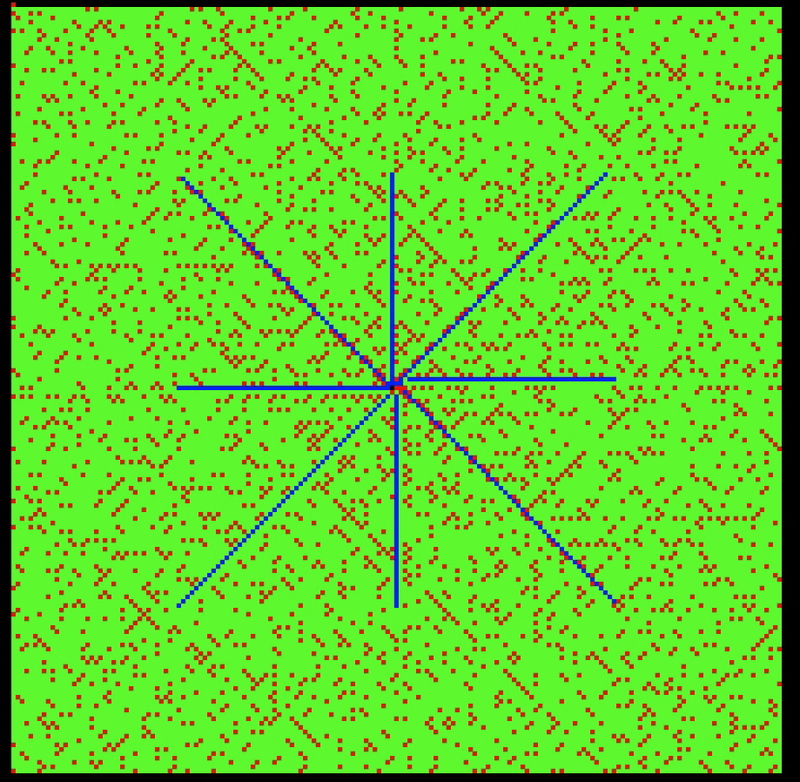 Below there are plots of 12 equations drawn on the number spiral.